Since the stones's first report use by the ancient Babylonians, the emerald has long been a popular choice, with historical figures including Cleopatra holding it in high regard. 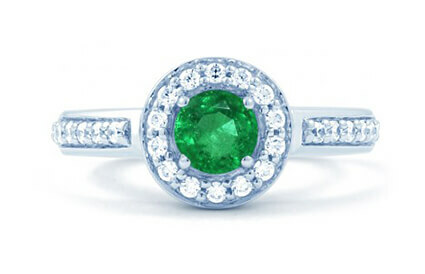 Beautiful in any setting, emeralds are the perfect gemstone for both eternity and engagement rings. You’re sure to find the perfect emerald ring in our collection today. However, if you have a particular setting and style in mind, why not custom design your own? Contact us today on +44 (0) 203 6959 885 for more details.